As we bring this year to a close, we want to thank everyone who has taken the time to visit our blog, read our articles, and send their comments. 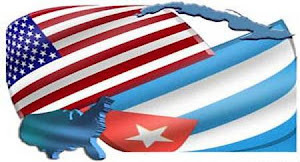 We look forward to a more rigorous and vigorous debate and discussion on United States Cuba Policy, as well explore all legal avenues permitted under current law that exist for individuals and businesses to develop business and social contacts with our island neighbor, 90 miles away. For over a month now we have left The Alan Gross Solution as our feature article, more so as a reflection of what we believe may be a solution to achieving his release from a Cuban jail. Our next article shall be called, "Framing the Issue" as we examine the two different and competing perspectives on U.S. Cuba policy. For those who want to successfully lift the travel ban to Cuba and change our policy with Cuba, this is the first order of business. And while we would like Cuba to change its policies, we in America must recognize that our power to do so can only come from our influence, and not the interference that has been the hallmark of our unsuccessful policies with Cuba. Travel restrictions and embargo do not support democracy or human rights or empower the people.